There is one thing all millionaires do that the rest of the world doesn’t. 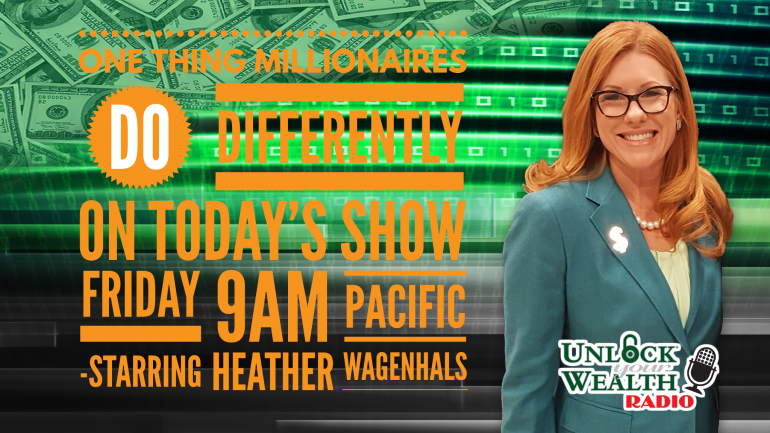 Heather Wagenhals and Michael Terry will discuss what that one thing is that separates the successful from the average. 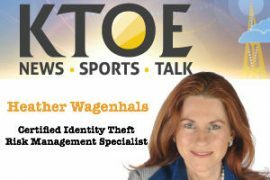 Heather Wagenhals is Making Success Simple© by helping people just like you overcome their personal and professional challenges to achieve financial freedom and live the life of their dreams. She studies the brain, behavior, and how folks get rich, then she teaches it to you through her best-selling books, syndicated radio show, keynotes, and workshops both in-person and virtual. 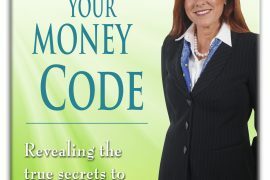 Heather shares that it is all about cracking your personal money code to get your MoneyMind© Right so your wealth and happiness will follow. This week’s key is just one of many tools Heather uses to continually achieve her goals. 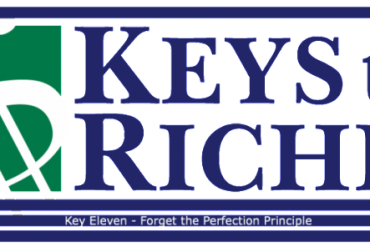 Heather reviews the Keys to Riches© Financial Philosophy and details the journey listeners have taken from the beginning of the season. 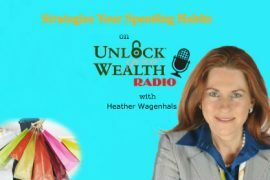 Holiday Special get HALF OFF any class from the Unlock Your Wealth Foundation and Heather Wagenhals next 48 HOURS ONLY! Previous articleNew Year’s resolution to drop a few pounds?